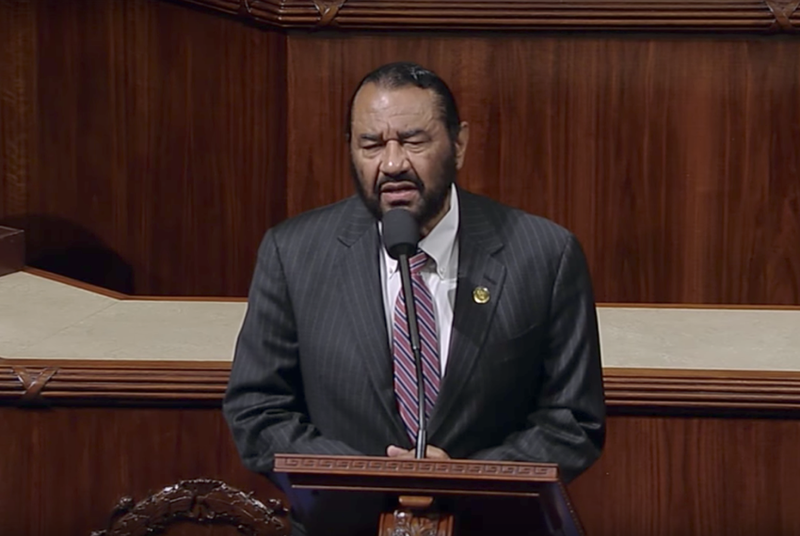 In his second formal call for the president's impeachment, U.S. Rep. Al Green, D-Houston, pledged Wednesday morning that he would force a vote in the U.S. House of Representatives on the president's impeachment by the holidays. U.S. Rep. Al Green promised Wednesday morning that the U.S. House of Representatives would vote on the impeachment of President Donald Trump sometime before Christmas of this year. His speech on the U.S. House floor marked the Houston Democrat's second formal call for Trump’s impeachment. “Before Christmas, there will be a vote on the chief inciter of racism, bigotry, hatred, xenophobia, sexism, ethnocentrism,” Green pledged, banging his fist on the podium. Green — who has called for Trump’s impeachment several times since the president took office in January — unveiled formal articles of impeachment against Trump on the House floor last month. But that proposal never made it to a floor vote. Green later said he wanted to allow his colleagues more time to consider the legislation, but there was also Democratic pressure to hold off the efforts, sources told The Texas Tribune at the time. Though Green did not say Wednesday how he planned to force a vote on his proposal, House rules allow for such a move on "privileged" resolutions within two days after giving notice of their intentions. Green emphasized the importance of constituents expressing their views to elected officials in the meantime. His speech last month made Green the second Democrat to introduce articles of impeachment against Trump. U.S. Rep. Brad Sherman, D-California, was the first to do so in July.